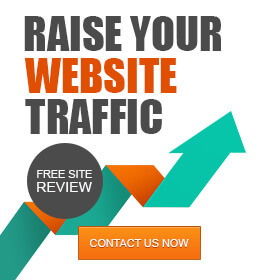 Reach thousands of engaged users on SEO Nick by posting on our blog. Your post will be read by an average of 100.000 users per month, and get at least 400 shares. Also, you’ll have a link directly to your page and all the glory that comes with having a post on a top SEO blog. The first step that you need to take is pitch your idea. Send us an email at services [at] seonick[dot] net with the subject line “SEO Nick Guest Post”, including in your message 2-3 sentences on what you’d like to write about and what’s your category of choice. We are focused on providing valuable insights and advice from real case studies. Our blog is a source of online marketing consultancy, providing actionable takeaways from the world of SEO, PPC, User Experience, A/B testing and Conversion Rate optimization. 100% original content, never published before anywhere else. Minimum of 1,800 words, but we get extra excited for posts over 2,500 words. All posts must include data backed by research with links and citations. All claims need to be backed up with a link or specific study. Include at least 3 legal photos or pictures to be included with the post (readers like images). No pen names or ghost-posting – authentic authors only. Please feel free to contact us and we’ll get you taken care of.